“The Good Doctor,” ABC’s most-watched new series, will undergo cast changes for Season 2. Based on an award-winning Korean TV drama of the same name and co-executive-produced by Daniel Dae Kim (“Hawaii Five-0”), the medical drama stars Freddie Highmore as Shaun Murphy, a savant autistic surgical resident at the fictional St. Bonaventure Hospital in San Jose. The cast includes Tamlyn Tomita as Allegra Aoki, chair of the hospital board and vice president of the foundation that controls the hospital’s funding. Will Yun Lee and Christina Chang, who previously had recurring roles, have been promoted to series regulars for the sophomore season. Lee, who had recurring roles on “Hawaii Five-0” and “Altered Carbon” and co-stars in “Falling Water,” plays Dr. Alex Park, an ex-cop who changed careers and is a new resident on the team. 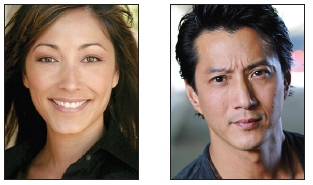 Chang, who had had recurring roles on “Rizzoli & Isles” and “Nashville,” plays Dr. Audrey Lim, who has emerged as a formidable counterpart to Dr. Neil Melendez (Nicholas Gonzalez), with the two often splitting up the group of residents between them. Despite its multicultural cast, “The Good Doctor” has received some criticism from Asian American media watchdogs for having only one Asian Pacific American regular despite being set in San Jose, a city with a large APA population, and being produced by Kim, who along with Grace Park left “Hawaii Five-0” over being paid less than the two Caucasian leads, Alex O’Loughlin and Scott Caan. Chuku Modu, who played surgical resident Dr. Jared Kalu, will not be back. Paige Spara, who plays Lea, Dr. Murphy’s neighbor and love interest, and Fiona Gubelmann, who plays Dr. MOrgan Rreznick, a new resident, have been upgraded to series regulars. The cast also includes Antonia Thomas as Dr. Claire Brown, surgical resident; Beau Garrett as Jessica Preston, the hospital’s in-house attorney; Hill Harper as Dr. Marcus Andrews, chief of surgery; and Richard Schiff as Dr. Aaron Glassman, president of the hospital and Shaun’s mentor and friend. Produced by Sony Pictures Television and ABC Studios with David Shore (“House”) as showrunner, the series premiered in September 2017. Season 2 will air in the same time slot, Mondays at 10 p.m.